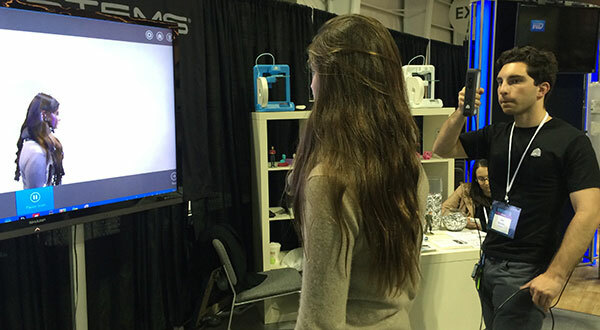 The first Engadget Expand rolled into town this past weekend at the Javits Center. While the website’s hodge-podge of a tech show began two years ago, this was its first New York appearance. 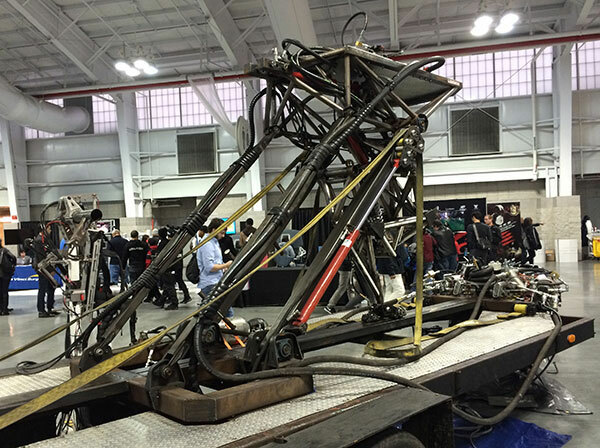 Somewhere between Wired’s annual Xmas store and a Maker’s Faire, Engadget Expand offered up everything from the latest Corvette (major advertiser there), lots of 3D printing and Brooklyn’s own Pensa, whose DIWire – a compact CNC wire bender – won one of the two $10,000 judge’s prizes. Here’s my short take on the EE show. 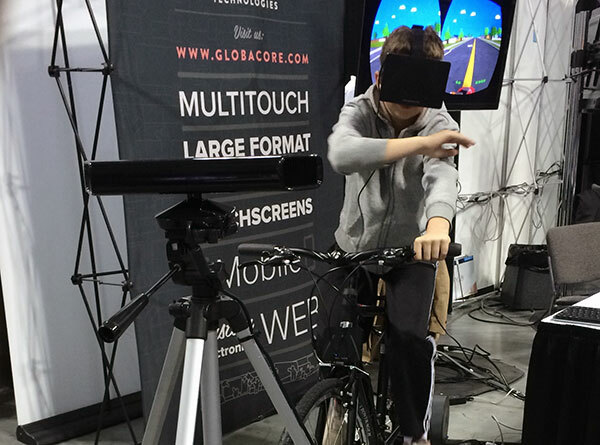 Globacore’s PaperDude VR channels an old school arcade game, bringing it up to date by hacking together an indoor resistance bike trainer, Oculus Rift virtual reality head-set, and Microsoft’s gesture-recognizing Kinect peripheral. The Sense 3D scanner from 3D Systems might not deliver the highest resolution scan, but it’s enough for fast prototyping. Optimized for 3D printing, it lists for $399. 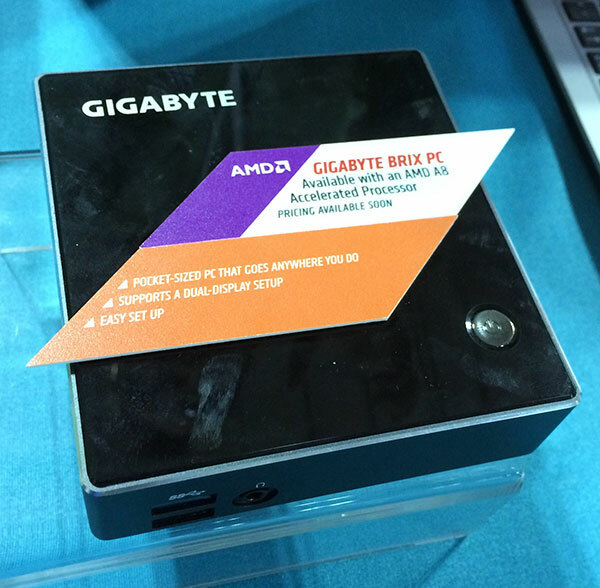 About the size of a DVD drive, the latest version of Gigabyte’s BRIX mini-desktop made an appearance. The full-fledged PCs feature either Intel or AMD processors and should price around $300-$400. This welded-from-many-spare-parts creature wasn’t moving when I was there. 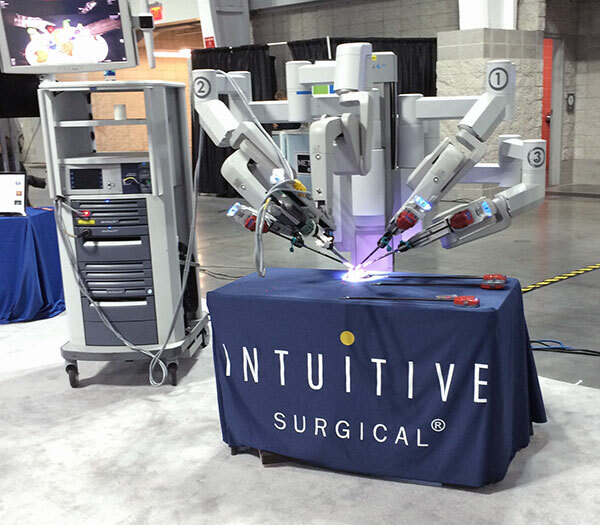 Intuitive Surgical thought they would bring along one of their $2 million surgical robots for all the tire-kickers. 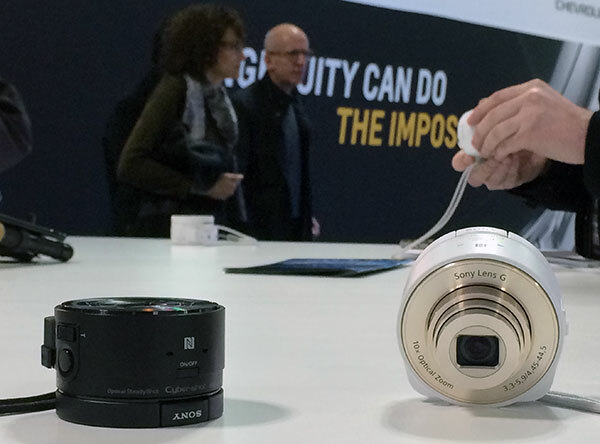 Sony’s QX series aims to take smartphone photography to a level that the integrated cameras still can’t touch. While the palm-sized unit can work on its own, pair with an Android or IOS device and use WiFi to view and control your shots. 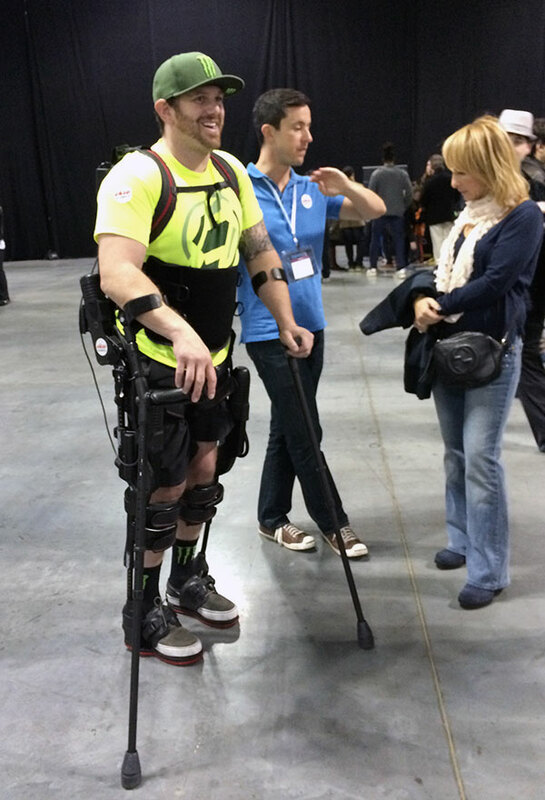 This employee from Ekso Bionics displayed one of its latest exoskeletons. Designed for rehabilitation, the company also licenses its products to military contractors and others. SoftKinetic’s IP and tech development allows Creative Labs’ Creative Senz3D to deliver real-time depth and gesture recognition to the desktop. 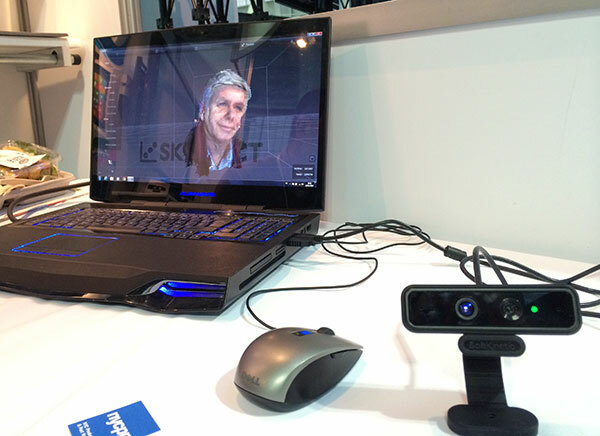 The Belgium-company’s DepthSense hardware products offer a range of sensors for consumer to professional 3D cameras. Startup Avegant’s prototype virtual retinal display uses a projection of two million micromirrors that makes it appear as if you’re looking at an 80-inch panel viewed from eight feet away. 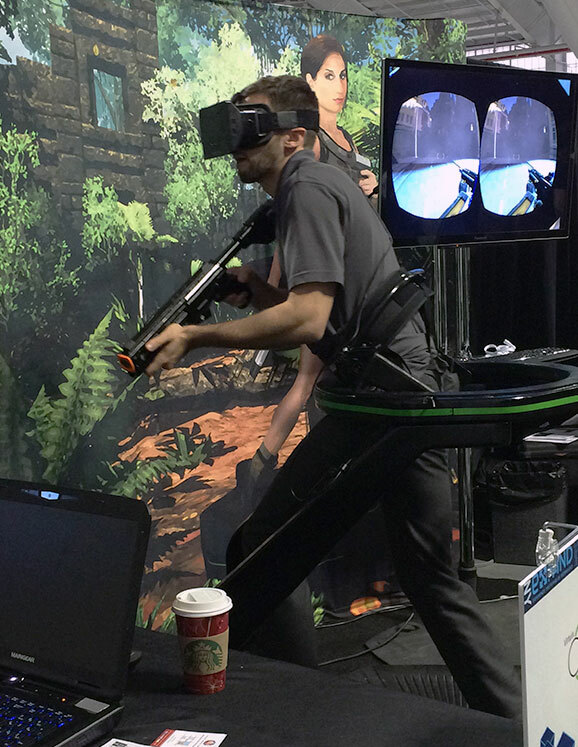 Virtuix’ Omni frees gamers from “passive, seated gameplay” according to the company. 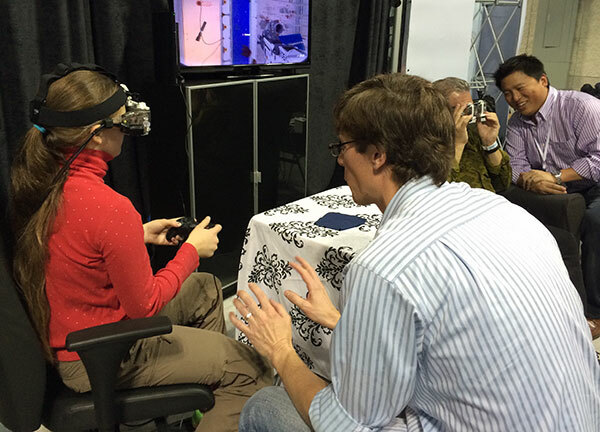 The virtual reality interface allows users to walk through their favorite games, according to a spokesperson.